Please check out the Criminal Record Suspension topics below or scroll through this web page for all of your answers. What is a Record Suspension? Why should I apply for a Record Suspension? When can I apply for a Record Suspension? Why should I start my application early? Summary, Indictable, and Hybrid Offences. Will my application be granted? What is a measurable benefit? How long will it take my application to be granted? Can I get an emergency or early Record Suspension? What will a criminal record search reveal once suspended? Can my Pardoned or Suspended Record be revealed without my consent? How do I apply for a Record Suspension? Freedom. Opportunity. Peace of Mind. 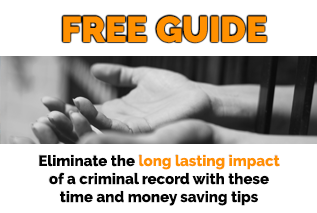 reduces the risk of discrimination resulting from having a criminal record. A Record Suspension reduces discrimination in many areas of your life, but may not eliminate all discrimination. Please check out all of the specific topics below. If you want immediate assistance, CLICK THE BUTTON PROVIDED. 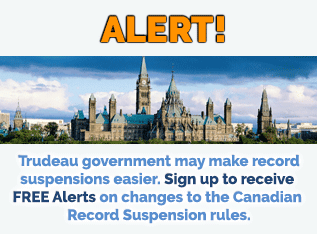 NOTICE: As a result of Bill-C10, the Record Suspension replaced the Canada Pardon on March 13, 2012. Eligibility rules and procedures have changed. You can apply for a Record Suspension once you have met all waiting periods for all convictions, you are not under investigation, no charges are pending or outstanding, and there is no warrant out for your arrest. It is advisable that you start your application at least 6 months before eligibility. Could I Start One or Two Years Early? 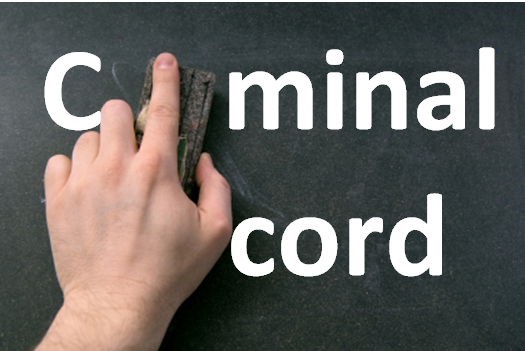 Even if you are not eligible for a few years, and especially in cases where you have had several convictions, it is advisable to start a “partial Record Suspension” early wherein we help you order your RCMP record and all court documents pertaining to convictions where fines, restitution, and victim fine surcharges were ordered. Often we find unpaid fines clients forgot about or thought they paid, or perhaps they only partially paid it. Clients must then pay their outstanding fine, then wait the 5 or 10 year waiting period from the date full payment has been made before getting a Record Suspension. The PBC does not ordinarily accept an explanation of “I thought it was paid” or “the courts did not advise me correctly that it was owing”. It is their general practice to make you pay it and then wait the required waiting period. We’ve also had courts insist a fine was not paid, and only after a few months of thorough investigation and persistence was it proven that the fine was paid. Therefore, it pays to start your application early just in case. If you are under investigation, charges are pending or outstanding, or there is a warrant out for your arrest even if due to ‘wrong place at wrong time’ or ‘complete misunderstanding’ or ‘civil matter such as a parking ticket’, it is possible you may still be able to start your Record Suspension application right away. In this case, we recommend you contact our office to discuss your situation so that we can assess the possibility of how these unresolved issues will affect your application in the future. 5 years for a summary offence (or a service offence under the National Defence Act ). 10 years for an indictable offence (or a service offence under the National Defence Act for which you were fined more than $5,000, detained, or imprisoned for more than 6 months). See below for offences for which you CANNOT apply for Record Suspension. The date that you satisfied your sentence is the date that you paid your fine, victim fine surcharge, restitution, probation, incarceration, compensation order, or community service. If you were given a 2-year probationary period, the date that you satisfied your sentence is the last day of your 2-year probationary period—not the date that you were discharged from probation. The same applies to incarceration—it is the last day of the full sentence regardless of your release date. If you are given ‘time to pay’ a large fine or restitution order, pay it immediately or at the earliest opportunity! Suspension of a driver’s licence and/or ban on possessing a firearm for a given period of time are not used in the calculation of waiting periods. This means you may be eligible to apply for a Record Suspension even if you are still prohibited from obtaining a Driver’s Licence or possessing a firearm. However, a Record Suspension does not guarantee a return of your driver’s licence nor does it result in the cancellation of any ban you may have received in possessing or owning a gun. possession of marijuana up to 30 gms. dates all fines, VFS, and restitution were all paid. Your file will be processed faster if you prove all offences were tried summarily. Sometimes you can tell an offence was tried by indictment by the sentence given. If the courts are unable to retrieve your court document (e.g. misfiled, destroyed by flood as has happened in a few court houses in the prairie provinces, or purged due to court house purge policy), then by default it is deemed an indictable offence. There are some offences that are currently hybrid, but years ago were always indictable, such as old theft and break and enter convictions (related to non-dwelling house). Theft under convictions as well as break and enter (into a non-dwelling house) are currently hybrid offences. This Chart may not reflect your particular conviction at the time that it occurred. NOTE: if there is no election to try a hybrid offence as a summary offence in Provincial court, it may be deemed to have been tried summarily. Please contact us if the courts refuse to deem your offence summary in Provincial Court if no election has been made. a sentence to imprisonment for two (2) years or more was imposed. NEW: IF YOU WERE CHARGED UNDER THE OLD RULES, YOU MAY STILL APPLY FOR A PARDON UNDER THE OLD RULES. PLEASE CONTACT US FOR MORE INFORMATION. you fail to demonstrate how a Record Suspension will sustain your rehabilitation into society as a law-abiding citizen. were involved in any situation where police intervention was required. However, if the PBC proposes to deny your Record Suspension application for any reason, you will be advised of the proposal, following which you will be given an opportunity to respond in writing to the PBC. The Board will consider your written representations before making a final decision on your file. If your Record Suspension Application is refused, you will be able to re-apply one year after the date of the decision. NOTE: even if one of the above incidences did happen, your Record Suspension may still be granted. identifying pro-social relationships and social networks. Don’t be discouraged. It is true RULES regarding the granting of a Record Suspension are harder and the approval can now be discretionary even if you meet the basic eligiblity requirements. We can help. We believe in forgiveness. We believe in you. For those that find the concept of forgiveness offensive, here is my response. First, victims that learn to forgive do no ‘re-live’ or ‘suffer’ their hardship for the entirety of their life. If they continue to be angry and sad, then its like there are being victimized over and over again. Second, that fact that so many people and countries can’t forgive is the reason why we have so many problems in the world. I believe that if everyone could learn to forgive (even if we only learn to forgive 95% of the things that have harmed us), most fighting and some illness aggravated by anger and stress would simply disappear. Plus, I think people would rehabilitate faster and offend less. I believe the act of forgiveness would make the world a better place. Don’t you agree? A Record Suspension is a symbol from society saying we ‘forgive you’ and ‘acknowledges that a criminal record should not continuously reflect upon your character’. The act of you applying is also a symbol from yourself that says “I’ve moved past this”, “I can forgivess myself” (if you have not already), and “a criminal record does not define me”. If half of society with convictions all received a Record Suspension tomorrow, and the stigma of their convictions disappeared, I believe the good energy level of Canada would elevate significantly. I know it sounds a little “weird”. But, look at it this way. The USA rarely grants pardons. The stigma of a criminal record is 10x worse in the USA and they have so many problems because of it. Costs of incarceration and reoffend rates are much higher in the USA because the stigma follows people forever and they have no hope. This lack of hope takes away their opportunity and the effect of this trickles down generation to generation. What are you waiting for? Contact us for your free consultation. A Pardon or Record Suspension may be revoked if an individual re-offends, the PBC issued a Pardon or Record Suspension in error (ie. over-sight) or due to misrepresentation or accidental error by the applicant. How could an error be accidentally made? The client may have had multiple convictions, some of which the arresting police force for one reason or another did not register on the National Database. Not realizing a conviction was missing from the RCMP record, it could have accidentally been omitted from the Record Suspension Application, following which a Record Suspension is granted. We had this happen to a client once. One day he decided to take a look at his Pardon, recalled the offence and called us about it. We did some investigating and sure enough, it was missed (it would be impossible and impractical for us to check every police department in Canada–we have to rely on our client to let us know where they may have been convicted). We obtained the court document and realized that due to late payment of fine, he was not eligible for a Pardon when it was granted. This resulted in the revocation of his Pardon and we had to start all over again. Not all Pardons/Record Suspensions are revoked if a person re-offends. For example, if you were pardoned for a theft conviction 30 years ago, then re-offend with something like an impaired conviction, the PBC may choose not to revoke your Pardon or Record Suspension because the two offences are unrelated and the new conviction is a summary offence. Or, if your very old minor pardoned or suspended conviction was purged prior to the new offence, then it would be impossible for a Pardon or Record Suspension to be revoked. Typically, your Pardon or Record Suspension would automatically be revoked if you are convicted of a new indictable offence and may be revoked if you are convicted of a new summary offence. How Long Will it Take my Record Suspension Application to be Processed? Prior to submitting your Record Suspension application to the PBC, it can take an average of 3 to 6 months to prepare your application and obtain all of your supporting documents. It all depends on how quickly the RCMP process your fingerprints, backlogs of the local police where you have resided in the past 5 years, backlogs at the court house(s) you were convicted in, age of convictions, and whether your criminal record matches your court documents. For example in 2015, RCMP took an average of 3 to 6 weeks to provide us with an RCMP criminal record, but in 2016 this time ballooned to 4 to 6 months. Police and court reports can take as few as 2 weeks for some locations and as many as 4 months for others. Police and Court Reports can’t be obtained (most of the time) until your RCMP record has been received. How long will it take for the Parole Board to process your Record Suspension application once they receive it? When the new Record Suspension Rules came out, the PBC advised “they were legislated” to complete Applications with only summary offences “within 6 months” and Applications with indictable offences “within 12 months”. However, within 18 months of the new rules taking effect on February 22, 2012, they are already advising that “it could take longer”, which suggests to me that the legislation is being interpreted more flexibly. EFFECTIVE SEPTEMBER 2011 THE PAROLE BOARD OF CANADA NO LONGER PROCESSES REQUESTS FOR RECORD SUSPENSIONS AND PARDONS ON AN EMERGENCY BASIS. THE RCMP HAS NOT ACCEPTED REQUESTS TO RUSH THE ORDERING OF RCMP RECORDS FOR MANY YEARS. Be very cautious when dealing with companies giving false promises that your file can be expedited, rushed, or fast-tracked. The only part that may be sped up is the 2 week to 4 month period wherein court documents and local police checks are ordered. However, there are also many courts and police departments that will NOT expedite requests (many locations are faced with back logs and budget constraints which make it impossible for them to consider emergency requests or a request to put your file ahead of someone else’s). In an emergency situation, we automatically rush the ordering of court documents(s) and police check(s) (provided they permit it–you only pay for extra courier costs that may arise). In the words of the Parole Board, “the loss of opportunity is a natural consequence of having a criminal record.” The ability to apply for and receive an early Record Suspension before you are eligible is rare and does not apply to people who are suffering ‘natural consequences’. This section does not qualify for individuals who are prohibited from having their record suspended. For more information on RPM, please contact our office. What Will a Criminal Record Search Reveal Once a Record Suspension Has Been Granted? Once suspended, your criminal record becomes sealed. It is not erased, purged, or expunged—though in some cases old records for which a record has been suspended or pardoned may be purged. The search will not disclose the fact that you have had a criminal record or have been granted a Record Suspension unless you apply for a position that requires the disclosure of a suspended record (see #6 Limitations). Otherwise, it will appear as though you have never been convicted as the search will reveal “no record”. Most employers do not ask individuals to disclose a pardoned or suspended record unless you are applying for a position involving the vulnerable sector. Can my Pardoned or Suspended File be Disclosed Without my Consent? All information pertaining to convictions will be taken out of the Canadian Police Information Centre (CPIC) and may not be disclosed without permission from the Minister of Public Safety Canada. The CRA applies only to records kept within federal departments and agencies. However, many of the provincial and municipal law enforcement agencies cooperate by restricting access to their records once notified that a Record Suspension has been granted or issued. The Canadian Human Rights Act forbids discrimination based on a record suspended conviction. This includes services a person needs or the opportunity to work for a federal agency. The CRA states that no employment application form within the federal public service may ask any question that would require an applicant to disclose a conviction. This also applies to a Crown corporation, the Canadian Forces, or any business within the federal authority. You may personally request the release of pardoned or suspended information, for example, if you are applying for a U.S. Waiver and are required by law to disclose the same. U.S. Admissibility Review. If upon review of your criminal record and relevant court documents we determine you to be admissible to the United States, we will give you a letter confirming the same—which you carry with you on your travel to avoid the risk of refusal. We help challenge PBC proposals to deny a Record Suspension application, if it occurs. Amending incorrect information on RCMP criminal records. 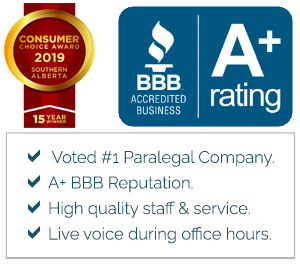 You may telephone us for a free consultation. Should you wish to proceed with an Application for Record Suspension, all you need to do is telephone us for an appointment or telephone interview (if you are unable to attend our office). What are the limitations of a Record Suspension? Can I obtain a passport?